Even with a strict budget and financial goals, there are times when life throws a wrench in our plans. That includes job uncertainty, medical expenses, unforeseen home repairs, damage from severe weather, and more. It’s comforting to know that there are safe and reliable options to quickly get much-needed cash. 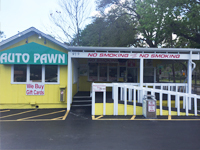 One of these options is a vehicle title loan through Auto Pawn. These loans are based on the value of the vehicle, not your credit history, so you know that you’ll always get the maximum payout possible. If you don’t want or aren’t able to sell your vehicle, getting a title loan is a good option. Not everyone has mounds of cash on hand or in a bank account. But you could be driving around in a gold mine and not even realize it. Vehicles are one of the most valuable items you can own since most everyone needs access to reliable transportation. 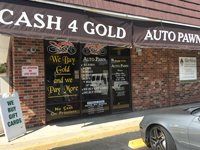 Why not turn your vehicle into much-needed cash? It’s important to realize that our loans are based on more than just the Kelley Blue Book value. You may use this guide as a reference, but the actual determined value could be more or less than listed. Our qualified agents will explain all the details taken into consideration in assessing the total value of your vehicle. It’s not necessary to fix minor damage (paint scratches, cloudy headlights) before bringing in your vehicle. Our loans are based on the total value of the vehicle, not just aesthetics. You’ll need a clean title loan with your name on it, as well as a valid photo ID. Any other documentation that you feel is relevant (accident history, service records), can also be furnished at the time of appraisal. These may or may not affect the final loan decision. It’s important to note that the actual vehicle must be brought in to one of our three convenient Volusia County locations. Unfortunately, we’re unable to assess the value of a vehicle from photos, or if it’s parked across the street. The vehicle must be available on-site for the entire appraisal process (no drive-throughs or drop-offs). If you have a clean vehicle title with your name on it, you’re already on your way toward a loan. Our knowledgeable and qualified agents will inspect your vehicle and prepare a quote based on the appraised value. We’re always happy to explain what factors were taken into consideration in determining the overall value. Best of all, the entire process is quick and stress-free. 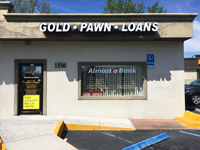 When you stop by one of our three convenient Volusia County locations, you’ll get a feel for your vehicles value and loan potential in about an hour. We’ve made loans on all years, makes, and models of vehicles. We’ve paid cash for cars, trucks, boats, RVs, motorcycles, and more. Discover the value of your vehicle and get fast cash today. Contact us to get started.